Take a photo of your experience at Handa Opera on Sydney Harbour — West Side Story for your chance to win the ultimate opera experience at the Sydney Opera House. Facebook: Post it on Opera Australia’s page for your chance to win. Twitter & Instagram: Tag @operaaustralia in your photo and post to your profile with #operaharbour for your chance to win. Note: entry is open to all ticketholders but the prize must be redeemed in Sydney during July 2019. Prizewinners will be responsible for their own travel. Entry is open to Handa Opera on Sydney Harbour – West Side Story ticketholders, aged 18 years or over, who have posted a photo of their experience at Handa Opera on Sydney Harbour — West Side Story on Opera Australia’s Facebook page, or on Twitter or Instagram using the #operaharbour hashtag and tagging @operaaustralia in the photo during the Handa Opera on Sydney Harbour season between 22 March and 21 April in 2019. The Promoter is Opera Australia (ABN 26 000 755 153) of 'The Opera Centre' 480 Elizabeth Street, Surry Hills, NSW 2010. The competition is not open to employees of Opera Australia, their families (including de facto spouses) or to other persons assisting with the competition. Two Premium Reserve tickets to an opera at the Sydney Opera House, for any performance in July 2019, valued at up to $722. 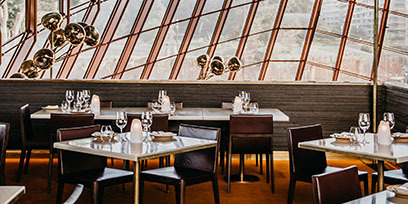 A three course, pre-performance dinner at Bennelong Restaurant for two with matching wine, valued at approximately $380. 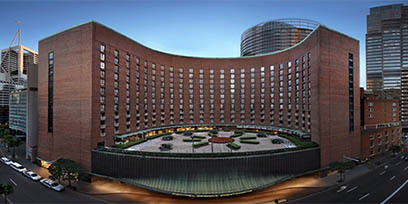 One night's accomodation at the Sofitel Sydney Wentworth, valued at approximately $280. A chauffeured Mazda to and from Sofitel Sydney Wentworth to the Sydney Opera House, valued at approximately $800. 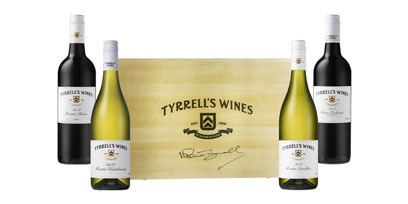 A Bruce Tyrrell signed wooden gift box with four bottles of Tyrrell’s Winemaker’s Selection wines. A $200 Visa gift card, valued at $200. The competition commences at 5.00pm AEST on Friday 22 March 2019 and continues until 11:59pm Sunday 21 April 2019. The Promoter will select one image to win. This judging will take place at The Opera Centre (480 Elizabeth Street, Surry Hills NSW) at 2pm on Thursday 2 May 2019. Two employees of the Promoter will judge the winner. The winner will be notified via social media on the day they are chosen and in writing within one week. If the winner has not responded via social media and provided their details via email by the Monday after they are drawn, another winner will be selected. Any entry that is posted to Facebook but not on Opera Australia’s page (facebook.com/operaaustralia) is ineligible. Any entry posted to Twitter or Instagram without including the #operaharbour hashtag or tagging @operauastralia in the photo is ineligible. The Promoter accepts no responsibility for incorrectly posted entries and entries not received for any reason during the Promotion Period, or for any technical difficulties with entry. Any entrant who, in the opinion of the Promoter, tampers or interferes with the entry process in any way, or who does not properly comply with the entry process, will be ineligible to win. All prizes must be taken as stated. The prizes are not transferable, divisible or exchangeable and cannot be redeemed for cash. The Promoter reserves the right to supply an alternative prize of similar monetary value. The judge's decision is final and binding and no correspondence will be entered into. The Promoter will not be held liable for any loss, damage or injury which results directly or indirectly from the competition, except that which cannot be excluded by law. Bennelong at Sydney Opera House.